I’m veering off-topic to share a craft item other than crochet. I’ve not been to many baby showers myself, but we recently went to one for another family member and learned of some fun games and perks for guests, including a diaper raffle. For those of you who aren’t familiar with diaper raffles: Guests are invited to bring one package of diapers for a chance to be entered into a raffle for a (sur)prize. The shower invitation itself can denote whether a diaper raffle will be held, or the instructions/raffle ticket can be added as an insert to the invitations. 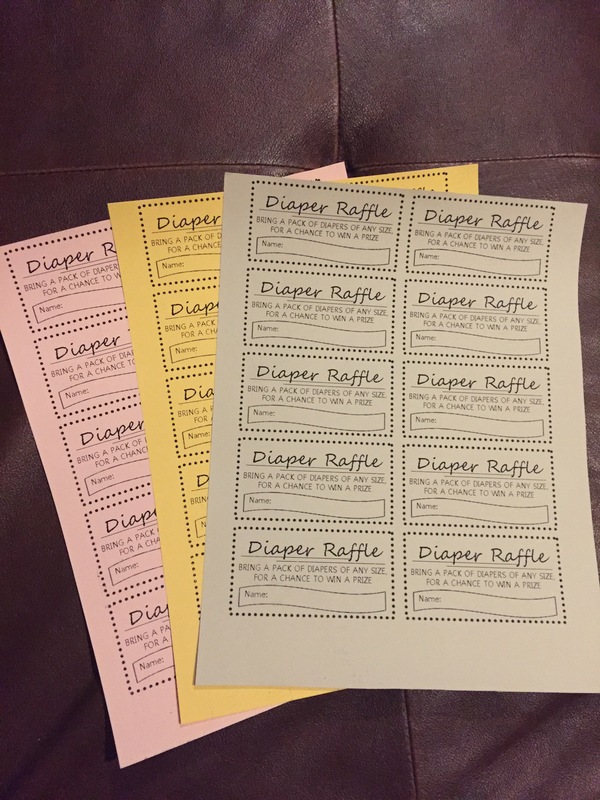 I designed these diaper raffle tickets and printed them on card stock. There are 10 tickets to a sheet. You can download and print them for your own use, for free! : annaweee Diaper Raffle Ticket. Thank you for posting this free of charge! I can’t believe how lucky I am to find it! I am so computer illiterate, I had no idea how to make up my own document with raffle tickets. Thanks again! So glad you are taking advantage of it!